A quick view of the most influential metrics in Bryn Mawr. Early Settlers & History of the Name Rowland Ellis, a tobacco plantation owner, came here in 1704 from Wales. He called his house Bryn Mawr, meaning "high hill"; subsequent owners changed the home's name to Harriton, which stills stands today and is open to the public. The Humphrey family settled on land that is now host to Bryn Mawr College and Baldwin School; their surrounding area was called Humphreysville. In 1857, the Pennsylvania Railroad bought entire land tracts, the railroad was built, and tracts were subdivided and sold. The Railroad executives chose the name “Bryn Mawr” which was found in the property records of Rowland Ellis. Famous People, Famous Homes Since 1704, Harriton House has stood on its original tract; the one that Rowland Ellis called Bryn Mawr. Occasionally on Lower Merion’s cable station, you can catch Rebecca Diamond starring in a documentary about Harriton! Bryn Mawr has been home to many celebrities, athletes, musicians, politicians, so just to name a few: Jack Bogle, Adelaide C. Eckardt, Drew Gilpin Faust, Katherine Hepburn, Jayne Mansfield, Agnes Nixon, Teddy Pendergrass, Woodrow Wilson, and Warren Zevon. La Ronda, a Spanish style mansion of nearly 20,000 square feeet, was once a 250-acre estate with boundaries of State Rd, Spring Mill Rd, and Morris Avenue. Designed by Addison Mizner, it was built in the late 1920s on a steel frame and featured solid bronze windows and doors. Of its fifty-one rooms, twenty-one were bedrooms. In the 1980s, 90 acres of the estate was sold and developed into 107 townhouses called The Hermitage. The La Ronda mansion, amidst heroic national debate and efforts to preserve it, was destroyed in 2009 by current owners. Ashbridge House was built in 1769. Originally some 625 acres, some of the land was donated to the Pennsylvania Railroad for the Rosemont train station. In 1940, the house and some of the remaining land were donated to Lower Merion Township. It is now prized open space utilized for recreation and as a public meeting place. Educational Institutions In 1889, the railroad commissioned Frank Furness to (re)build a hotel near the train station. Originally The Bryn Mawr Hotel, this building has been the prestigious Baldwin School since 1896. 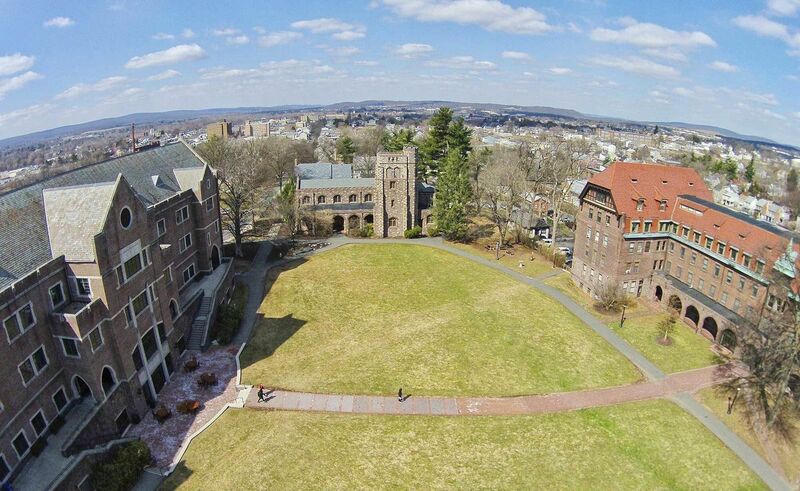 Bryn Mawr College now owns some eighty acres of the land that William Wilson bought for the railroad. Fully ninety percent of Bryn Mawr is host to educational institutions and their facilities; most are actively preserving and using the grand homes of yesteryear. View our selection of available properties in the Bryn Mawr area. Check out the latest demographic information available for Bryn Mawr. Browse through the top rated businesses in the most popular categories Bryn Mawr has to offer.